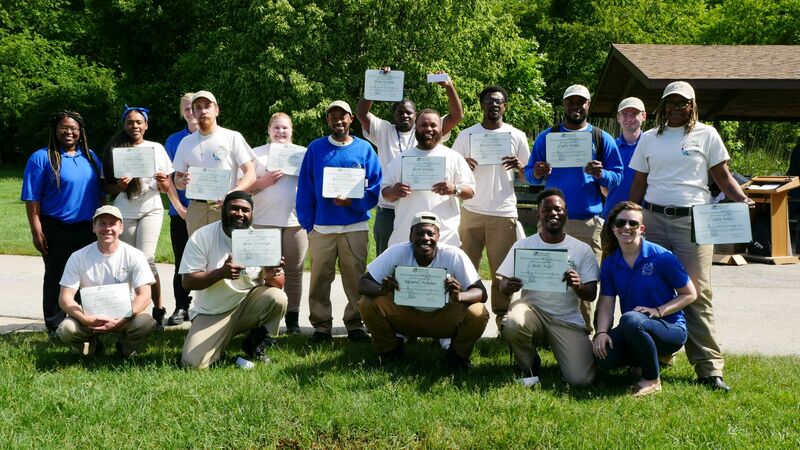 The Maryland Department of Natural Resources, in partnership with the Maryland Department of Labor, Licensing and Regulation, this week presented certificates to graduates of a new workforce development, skills and training program, Work2Live WELL. Participants engaged in eight weeks of professional and personal development designed to provide access to the emerging ‘green’ careers fields in the environment and natural resources. Working in partnership with private businesses, nonprofits, universities and others, the program provided classroom sessions, field training, and one-on-one mentoring through separate tracks in Baltimore City and Cambridge. 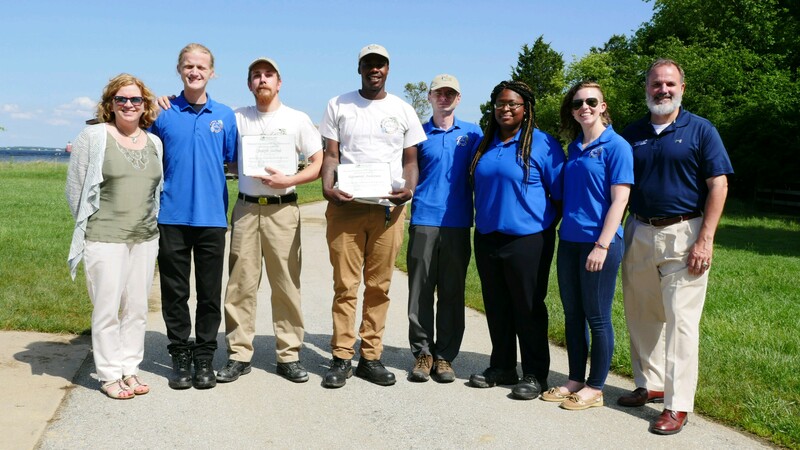 Natural Resources Secretary Mark Belton and Deputy Secretary Joanne Throwe, along with program manager Trystan Sill, led the May 23 ceremony at Sandy Point State Park to honor the graduates. Class of 2018 graduates include: Anthony Biggers, Ronald Blackwell, Caleb Boczon, Justin Bundley, Dontae Carmichael, Dedric Greennagh, Mitchell Holt, Falon Jones, Tahno Kouadio, Andre Neal, Charles Partlow, Megan Shiflett, Ashley Veney, Carles Waith, and Antwan Watson. Class valedictorians were Raymond Anderson, Michael Ewell and Joseph Surina.